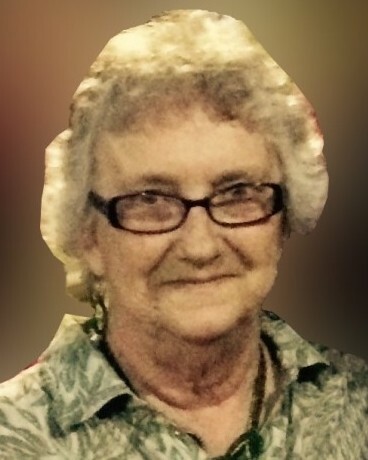 Jeanne King Woolsey, 74, of Baytown, passed away Sunday, September 9, 2018, at the San Jacinto Methodist Hospital. Jeanne was born August 5, 1944, in Baytown, to parents; Charlie D., Sr. and Verle Fogle King, and has been a lifelong resident of Baytown. She attended Robert E. Lee High School and was a homemaker. She also enjoyed reading, playing bingo, and spending time with her family. Mrs. Woolsey was preceded in death by her parents and sisters: Mary Houser and Joyce Martin. She is survived by her daughter: Dixie Roffe and Jason, sons: Charlie Briscoe and Dan Woolsey, Jr. and Robin, brother: Charlie King, Jr., sister: Charlene King, grandchildren: Heather Halfmann and Eric, Taylor Roffe, Dustin Woolsey, and Jesse Woolsey, great-grandchildren: Paisley, Luke, and Eli Halfmann, numerous nieces, nephews, other relatives, and friends. The family will receive friends from 5 p.m. to 8 p.m., Tuesday, at the Crespo & Jirrels Funeral Home Chapel. Graveside services will be held at 10:00 a.m., Wednesday, September 12, 2018, at the Cedarcrest Cemetery in Baytown.